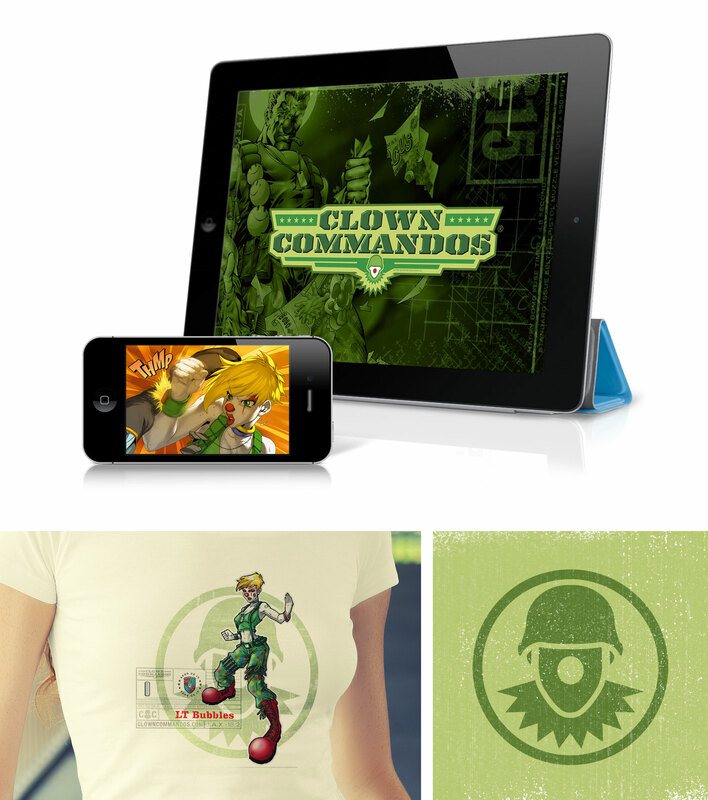 Concept branding of the Clown Commandos Entertainment Property. 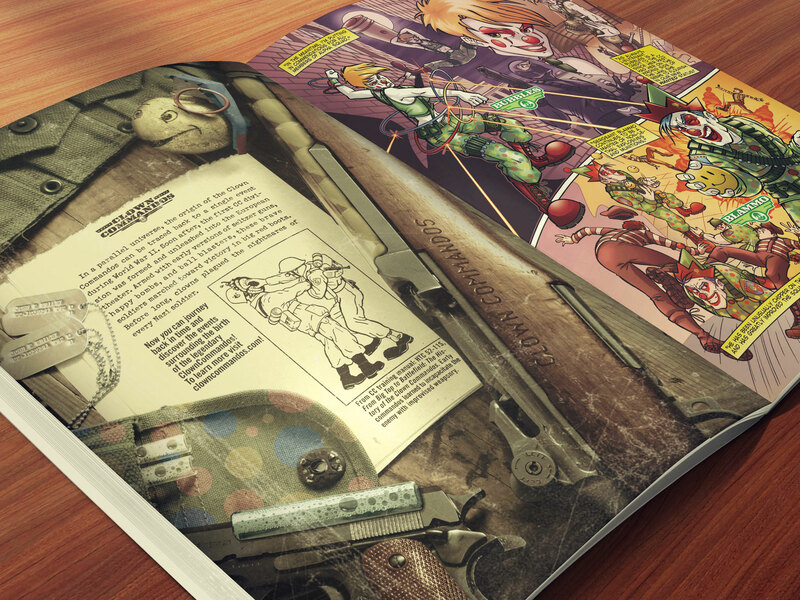 The Clown Commando Comic was developed for print and an interactive iPhone/iPad app. Promotional materials included T-Shirts, Stickers, bookmarkers and various other elements.